BELLEVILLE – City council unanimously approved $100,000 for Canada Day celebrations this year, despite a minor delay last month, at its meeting on Monday night. That is twice what the city spends on the holiday usually. Within the total budget, $34,000 of that money will come from a reserve account. Coun. Paul Carr said that it will be worth it. “I support using the reserve funds simply because it’s a celebration of the country’s 150th birthday and that’s special,” he said. There won’t be any cost to the city’s budget Coun. Mitch Panciuk told council even with the use of the reserve funds. “We set money aside for things like this every year so it’s covered,” he said. 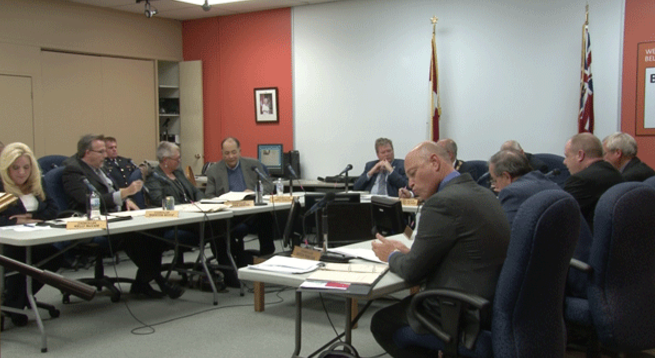 In an interview with QNet News last month, City treasurer Brian Cousins said the city needed to spend reserve money or the budget would be severely affected for the year. By spending more money it allows the city to do more events than usual for the holiday, Carr said, explaining that this year there will be a two-and-a-half day festival for the holiday. “There’s going to be fireworks on two nights as well as a bunch of Canadian musical acts performing and there will be an activity stage for young children,” he said. Carr said he and the rest of city council see this as a great event for the city. The event will start on Thursday, June 29. and finish on Saturday the first of July.